*Actual On Road Price of Harley-Davidson Roadster at the dealership may vary. 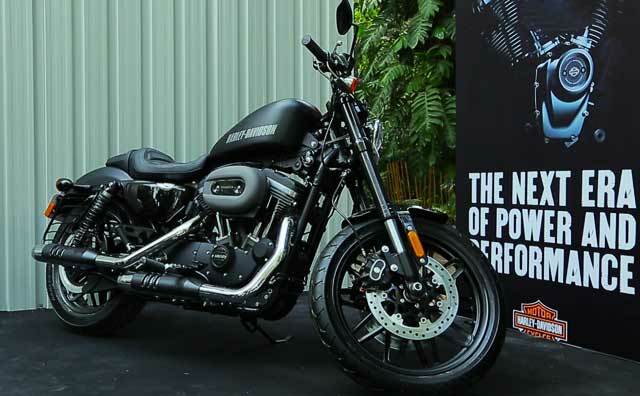 The new model in the Harley-Davidson India range gets the same V-Twin 1200cc Evolution air-cooled unit that does duty on the 1200 Custom, although the state of tune is different in both the models. The prowess gets new paint-schemes and graphics that add to its rugged and muscular look. Priced at Rs 9.70 lakh (ex-showroom, Delhi), new Roadster from Harley-Davidson gets the V-Tzwin 1200cc Evolution air-cooled engine making peak torque of 96Nm at 4000rpm. Placed above Forty-Eight in the line-up, the sportster comes with a 4-inch digital instrumentation which displays RPMs, speed and time. Besides, it also gets a trip meter, gear indicator and tell-tale lights.